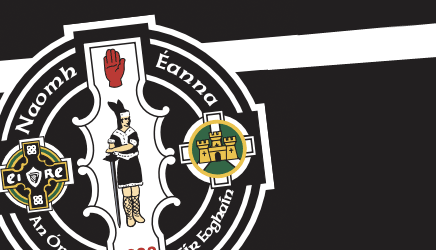 St. Enda’s senior ladies progressed to the semi-final of the Tyrone Intermediate championship with a 1-17 to 0-4 win over Agyharan at Strabane on Monday evening. From a solid defensive display from Charmaine Gormley, Emma Nugent, Orla Kelly and Christiane Hunter to the attacking threat of Cara McCrossan, Emma Collins, Terri McCullagh and Saiorse McElduff Omagh were always in control. McCrossan hit 0-10 with McElduff hitting 1-2 on a night when the side turned in a crisp, solid display. St. Enda’s now face either Sperrin Og or Kildress in the last four. Overall, it was a great win and performance from every single player. Cara McCrossan, scorer of an impressive ten points against Aghyaran.